On Tuesday a 200-metre section of the Morandi bridge in Genoa collapsed, killing at least 38 people. 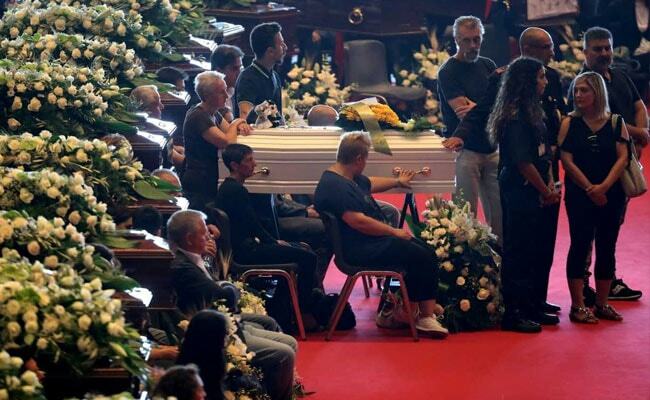 Italy mourned the victims of the collapse of a motorway bridge in the northern city of Genoa with a state funeral on Saturday, as rescue workers kept searching for the last few unaccounted people buried in the rubble. 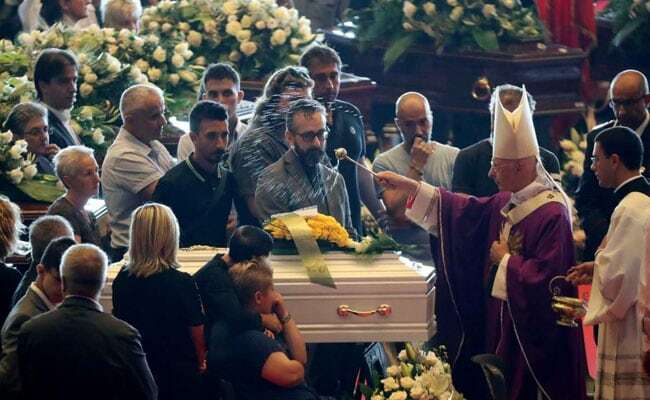 The mass for 19 of the victims was held at the Exhibition and Trade Centre of the northern port city and led by the city's archbishop, Cardinal Angelo Bagnasco. But some of the victims families boycotted the event and held their own private services, as a protest against the state, seen as negligent in its role of overseeing safety on the privately run bridge. A car was found on Saturday morning by rescue workers under slabs of concrete. The fire brigade and the Genoa prefecture said it was "compatible" with one believed to carry a family of three. But the official death toll has not yet been revised. The government has declared Saturday a national day of mourning and declared a state of emergency for Genoa, one of Italy's largest ports. Players of the city's two soccer teams, Genoa and Sampdoria, sat among the crowd, having refused to play matches this weekend in sign of respect. Relatives of the dead stood beside the coffins, adorned with white and yellow roses, some with their hands on the caskets. A Genoa court will try to establish the exactly why the 51 year-old bridge collapsed, but experts said problems with concrete-encased cable stays were a possible cause. The disaster has dragged toll-road operator Autostrade per l'Italia (ASPI), controlled by infrastructure group Atlantia, into a political storm. The firm manages the section of the A10 motorway linking Genoa to the French border. "Now it is the time of grief.. but we must think about the conditions of the roads of our region and the security of our infrastructure because these victims cannot be followed by other victims," Ilaria Caprioglio, the mayor of the town of Savona, said ahead of the ceremony. Italy's populist ruling coalition on Friday launched a formal procedure aimed at revoking concessions held by Autostrade to operate toll highways. "Evidently someone did not do their job well in terms of ordinary and extraordinary maintenance. The concessionaire has faults that appear very grave," Toninelli said in an interview with La Stampa, adding that it was up to investigators to establish who was responsible. 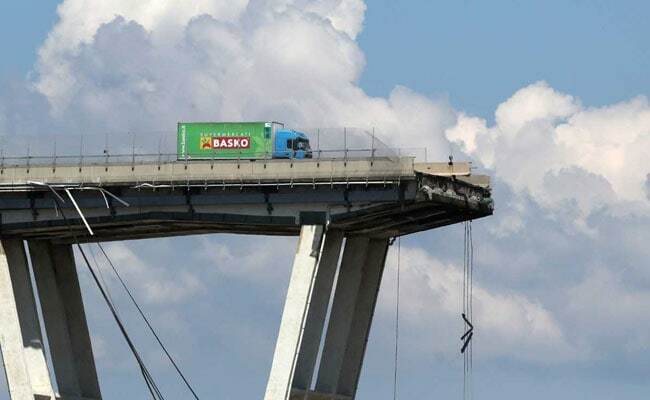 Autostrade, which operates 3,000 km of motorways in Italy, said on Saturday it would hold a news conference in Genoa after the funerals, the company's first public appearance since the disaster. The group's chairman and chief executive officer would outline initiatives to support victims' families and those evacuated from their homes, as well as efforts to help traffic flow in the city, Autostrade added in a statement.